There are so many fun things to do in life without drugs! Information was also provided about how harmful meth can be to family members who are exposed to the drug, and the support needed to help encourage users to stop using. In 2015, the Cheyenne River Sioux Tribal Council took strong action against drugs in their communities. A resolution was passed stating anyone convicted in state, tribal or federal court of distributing, manufacturing, or trafficking methamphetamine and/or any narcotic drug would be immediately dis-enrolled or banished for life from the Cheyenne River Sioux Reservation. Other topics covered by our Outreach Coordinators include dating violence, domestic violence and human trafficking. 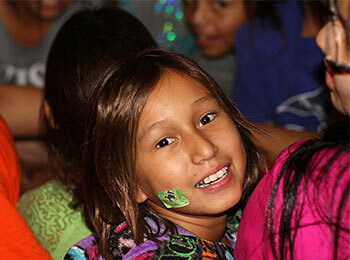 Thank you for supporting Cheyenne River Indian Outreach — together, we are changing lives for the better!